The B5 Diamond Mosaic-Detector is designed for precision spectroscopy of heavy charged particles. 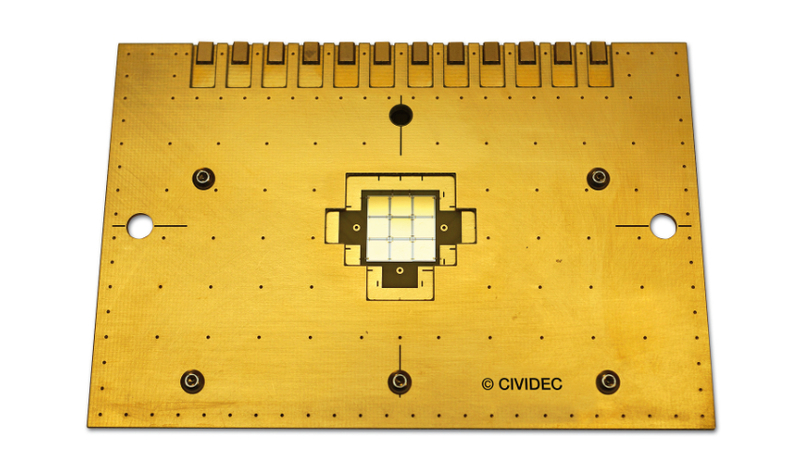 An array of 3 x 3 sCVD diamond diodes with a thickness of 140 μm and a size of 4.5 mm x 4.5 mm forms a large-scale sCVD diamond detector. This allows large-area applications, such as spectroscopy of heavy ions or spectroscopy of fast neutrons in nuclear fusion projects. Allowing spectroscopy for large beam sizes. 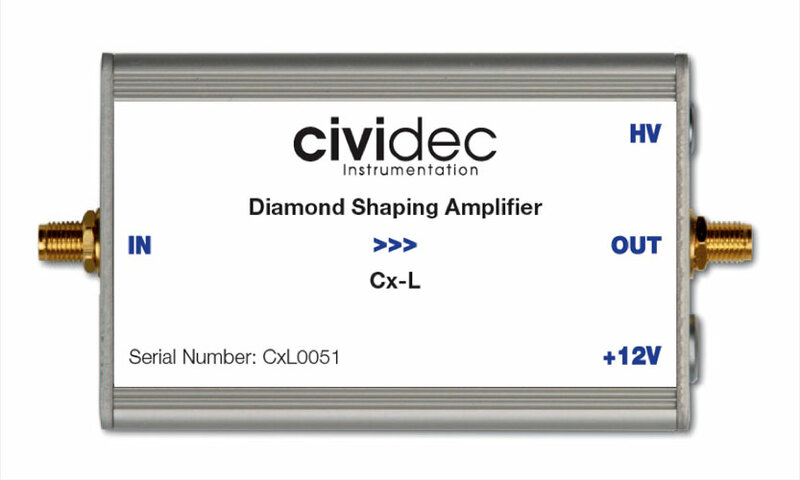 In combination with the Cx-L Spectroscopic Amplifier the B5 Diamond Mosaic-Detector is applicable to fast spectroscopy with rates of up to 1 MHz and an energy resolution of 20 keV FWHM. With this amplifier a 2 m long detector cable can be used between detector and amplifier, which enables spectroscopic measurements in vacuum. The B5 Diamond Mosaic-Detector was developed for the neutron time-of-flight facility n_TOF at CERN, Geneva/Switzerland. It was used for (n,α) cross-section measurements, which requires a large area spectroscopic detector which can be positioned in the neutron beam without suffering of radiation damage.